We all know that people are kind of lazy by nature, but Crius can actually show that by looking at the price index of the industry facilities used. This is in Uedama and the systems around it. As you can see it’s about at 30%, Ikao is busier, around 50%. Only the labs are near 100%, except for the lowsec one. Now this one, I didn’t even know people actually did production in Jita, are these people never leaving the system or the station ? Even just a system next door it’s cheaper. Or are the price differences insignificant to the end products price ? Just something I noticed, and I thought it was amusing . Very nice writeup over at reddit ! The Price of Change – CCP Greyscale is going to explain in detail how installing more jobs will have an effect on the installation price of those jobs. Industry Teams – CCP SoniClover will reveal all the details of Industry Teams and what this is all about. Everybody is probably tired to hear about the most recent drama in the world of Eve, but I will blog about it, albeit a little late, anyway. If only so I can read it back it later on ! I have been collecting interesting links or interesting opinions, so I will include those as well. In case you haven’t seen enough about it. In my opinion this all started (in hindsight) with the Community spotlight on Markee Dragon. Why there was a spotlight on someone who hardly played Eve and ‘only’ seemed to sell Timecodes, where there are dozens of other players and player organisation that deserve such a spotlight more was very odd. In case you don’t know, MD is the ETC code seller on Somer Blink. Then the first oproar started once CCP announced a lottery held by Somer featuring rare ships. The rewards were changed to other unique ships due to players like Chribba who said it wasn’t right to rerelease these old ships. Then this happened: a private mail leaked in which it was revealed that all members of Somer Blink had received Special Edition Scorpions. This very much resembled the T20 incident, years ago. Which led to the CSM and an Internal Affairs institution. Somehow this apparently passed by the IA. CSM wasn’t consulted at all. CCP does not seem to consult the CSM in things that matter, we have seen this before. It took quite a while before an official response was posted. 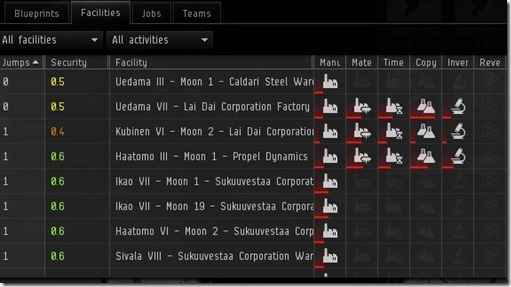 Due to vacation of half the CCP staff apparently. Once the response did come, it was in my opinion very underwhelming. You can read my response and one of my questions was answered in the thread, but I didn’t find it very satisfactory. Even worse, CCP apparently want to keep on exploring these ‘relationships’. For now these giveaways are on hold. I just read that as ‘once this blows over, we’ll continue what we have been doing’. This whole situation is all about trust. CCP mingling in our sandbox. The PR department supporting a shady Eve gambling site that makes (IRL) money by commissioning ETC sales. You can read about that in this excellent forum post. I know this situation doesn’t affect my game play directly, but it leaves a very foul taste in my mouth and it makes me slowly loose faith in CCP and the direction they’re heading. Just a shout out to another, much more prolific blog writer, Tigerears ! A very thorough article appeared last week on Wormhole colours. I never even noticed his, let alone knew they had a meaning ;). Go and read it now ! As posted in this devblog, the number of pilots doing exploration sites has grown exponentially since Odyssey. This isn’t very surprising as it’s right in your face each time you make a jump ;). And it’s easier to find things with the new and improved scanning interface (yes I said that, it did take a while to get used to it. Yet not everybody is happy though, I guess there is always someone not pleased. Although he does have a point regarding the loot pinata, not a big fan of that. There is a very interesting article on the economics of video games in the Washington Post. For all intents and purposes, this is an economy that has activity equal to a small country in real life,” Guðmundsson says. “There’s nothing ‘virtual’ about this world. Nothing really new, but it’s a nice read anyway. A big devblog was posted today on the upcoming winter balance update ! It’s too much to go through all of these, all I am saying is, the new Stabber and Vagabond models look awesome :). Oh and will the new Griffin be overpowered ? It looks very strong especially compared to it’s tier brethren. Also logi frigs will be fun, though they’ll always be the 1st to go down in a fight. Anyway, the Eve opportunist did a nice write-up, check it out ! Earlier this week I had already prepared a sort of news roundup kind of post. Then the CCP personel cut news hit and I was pondering another post. A lot has already been said about it though, I will make just a few comments here later on. Main thing this new update brings is Ship Spinning 2.0 ! The dread door is gone, you can now see your ship in your hangar without having to enter the captain’s quarter. CCP Aporia explains what’s up in this devblog. Other changes can be found in the patchnotes. Shame the site is somewhat of a nuisance to navigate, but the idea is nice. The third level has been unlocked at the www.eveisreal.net website. This means Aurum reward, so you can finally buy those fancy boots you always wanted. I have been watching some videos and pics and it’s nice, also brings back some memories when I was still actively participating in (factional warfare) fleet battles. Which brings me to Blog Banter #29. The freebooted Eve Blog started a blog banter on Immersion in Eve. To be honest, I never really felt that much like a cold hearted Caldari business man when I played my main character. But when I was playing factional warfare in it’s prime, I felt much more immersed in the game, and it’s backstory ! I also learned to hate the Amarr. There are some very nice contributions to the banter, al in all a good read, check it out at Blog Banter #29. No need in repeating the news here, every one who reads this will know about it now. Keith Neilson has a nice blogpost that also includes a list of names. What a lot of people already had been saying turned out to be true, CCP cannot sustain development for Dust and World of Darkness on just the income EVE generates. Maybe they barely could, but the drop in subs since MonocleGate hit hard. Of course it’s sad for those people that worked on WOD, but I can certainly understand CCP’s move here. What I don’t get, and a lot of people with me, if I read the response to the layoffs on the blogs and forum, is that the Community Team was also layed off. Well almost all of them anyway. This comes across as if uppper management is somehow blaming the community team for the events that unfold around the Incarna release. Some of these people (for me CCP Fallout especially) were the face of CCP in a difficult time, and they made the most of a difficult situation. Ok CCP Pann’s post at the time was not so great but uhm, well we’re gonna let that slide… Needless to say the ‘suits’ are free of blame as it seems only ‘lower personel’ was fired. It’s interesting how every time when CCP seems to get things right, ie focusing on Flying In Space instead of Incarna etc, they blunder in some other sort of way. I also wonder what all of this means for Walking in Stations, will it ever expand beyond the single room, where you walk around like a drunken sailor ? That would make Incarna the most useless expansion in an MMO ever, 4 years of dev time wasted. It just so happens that the people who got this kill, were the ones we were at war with for a week. Nothing remarkable happened then. This kill proves that stupidity knows no boundaries … Moving 74 plex in a fragile Kestrel ! 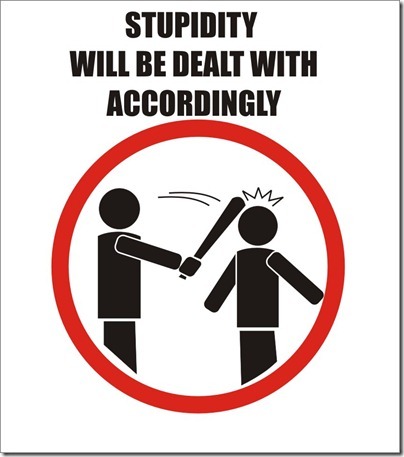 Thanks to the tweetfleet for spotting this one :).